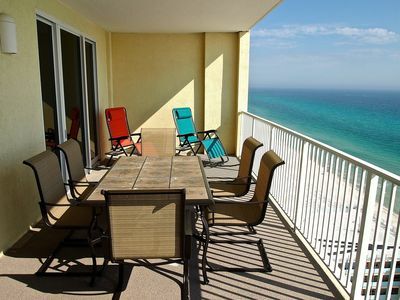 Oceanfront Master, Beach Chairs Incl. Please Note: No reservations for guest under 25 years old. 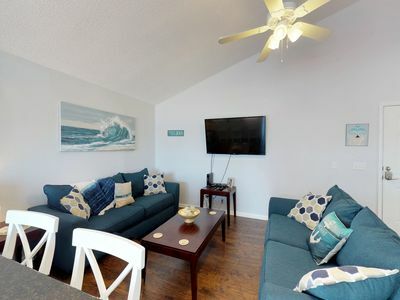 Beach Service included!!! Enjoy my electric grill!! 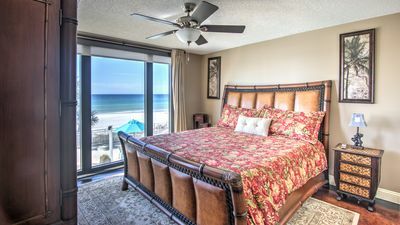 MASTER BEDROOM FACING THE GULF. 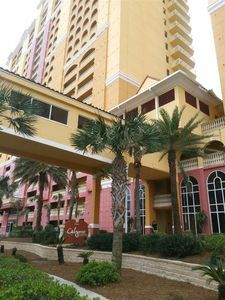 This is one of the Deluxe One Bedroom Condos on the 20th floor, this 923 Square Foot Deluxe 1 master bedroom and a separate private Bunk Room, Queen sleeper sofa, 2 full Baths, washer/dryer, full kitchen, cable TV, WiFi, Private (30 foot) Balcony overlooking Gulf can be accessed from the Master Bedroom or Living room. 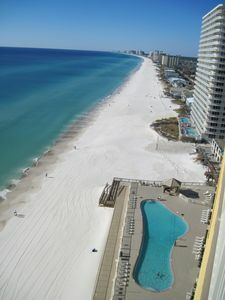 Most one bedroom units don't have the Bedroom facing the Gulf. New bunk bed with a full mattress and a twin mattress. 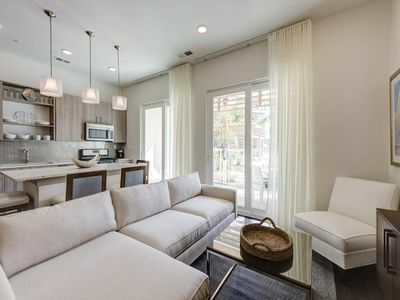 Whole new living room with a leather sofa bed (queen size). This unit sleeps 5 comfortable. 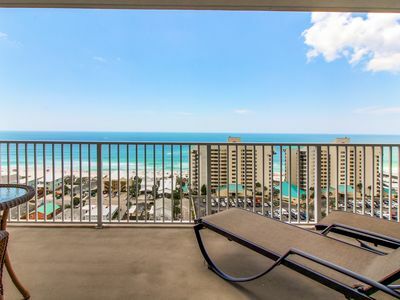 Unobstructed Gulf-front view from the living room and master bedroom, as well as a 30 foot covered balcony. I have tastefully decorated my unit. 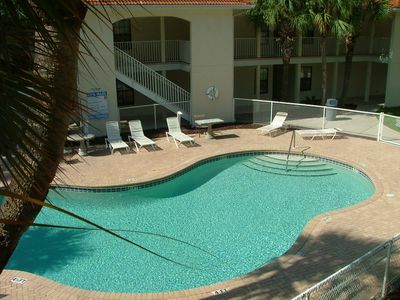 Includes plush bedding, two 42” flat screen televisions and fully equipped kitchen. 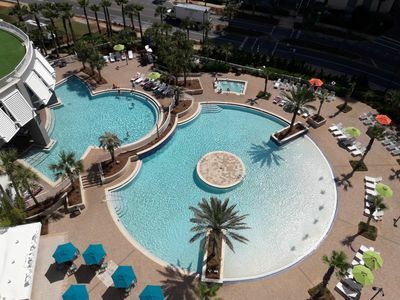 Management has strict policies that uphold the upscale and relaxing nature of the resort, including no rentals to anyone under the age of 25. 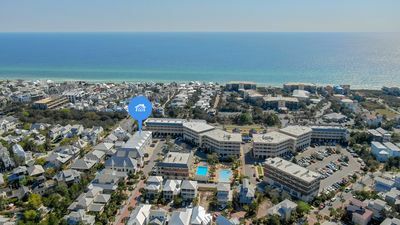 It is located in the newly developed western end of Panama City Beach and is very conveniently located, including being within walking distance of the Pier Park mega shopping/entertainment complex. 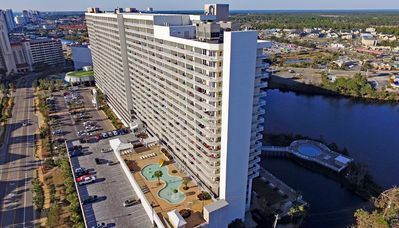 Tidewater will charge $25.00 registration fee to cover parking and all the amenities of the resort. This is a one time charge for all the whole group. 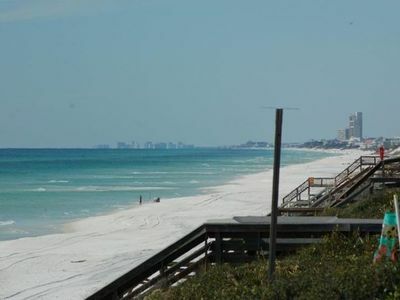 The new NORTHWEST FLORIDA-PANAMA CITY INTERNATIONAL AIRPORT (ECP) is 15 minutes from the building. We prefer weekly or monthly guest bookings. 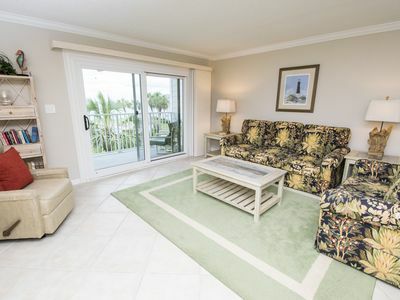 Our condo is furnished as second home, including premium furnishings and full kitchen appliances and cookware. 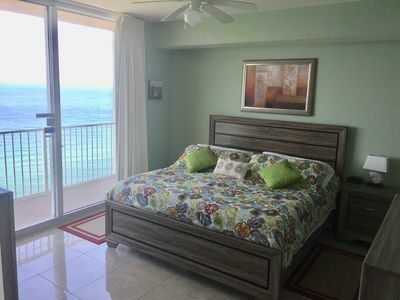 We are right for couples and small families desiring a comfortable extended getaway. 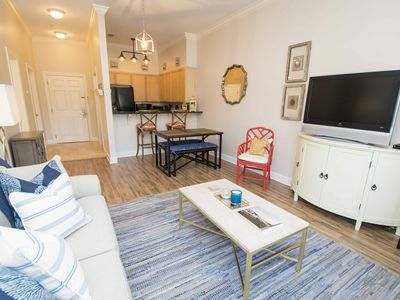 Our condo and the on-site amenities are simply more than a hotel room. ID is required to make the reservation. 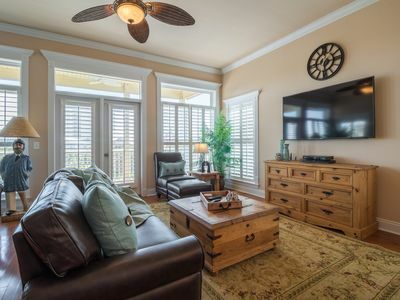 Look at our other properties in Orlando Florida VRBO Listing 751693 & 892704. New! Platinum Level Gulf Front Corner Unit. Free Beach Service and Free Wifi. 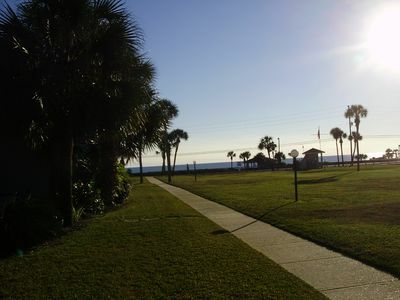 Ocean Reef 2 Bed/2 Bath W/ Huge, Gulf-Front Balcony, and Endless Views! 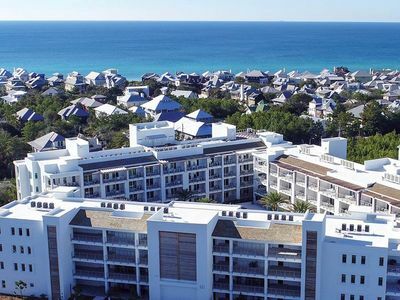 Elegant Condo in South Walton~Full 1 Bedroom~ Close to Beach~ Overlooking Pool! 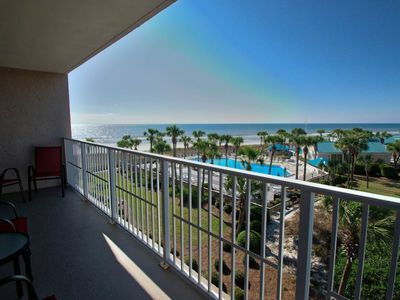 The Pointe 111 - Booking spring vacays, now! 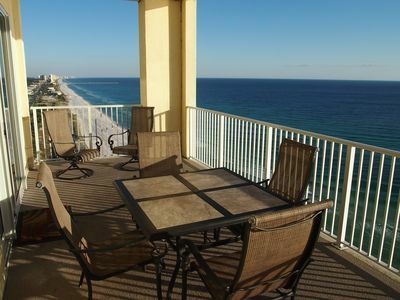 The Pointe 223 - Booking spring vacays, now!